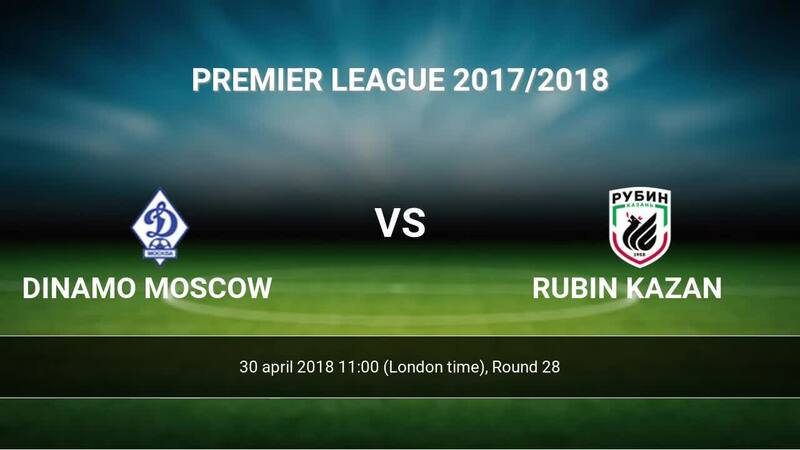 Kick off Dinamo Moscow-Rubin Kazan in Premier League on today 11:00. Referee in the match will be . Team Dinamo Moscow is located in the middle of the table. (12 place). Form team looks like this: In the last 5 matches (league + cup) gain 9 points. Players Dinamo Moscow in Premier League with the highest number of goals: Alexandr Tashaev 7 goals, Kirill Panchenko 4 goals, Evgeni Lutsenko 3 goals. Most assists in the club have: Alexandr Tashaev 5 assists, Kirill Panchenko 1 assists, Evgeni Lutsenko 3 assists. Team Rubin Kazan is located in the middle of the table. (9 place). In 5 last matches (league + cup) team gain 8 points. 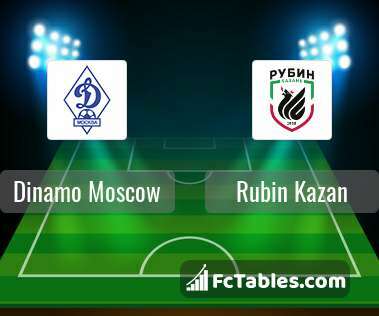 Rubin Kazan has not been defeated from 4 matches. The best players Rubin Kazan in Premier League, who scored the most goals for the club: Serdar Azmoun 4 goals, Ivelin Popov 4 goals, Jonathas 4 goals. Most goals developed: Serdar Azmoun 3 assists, Ivelin Popov 1 assists. Direct matches: usually ended with winning of Rubin Kazan. 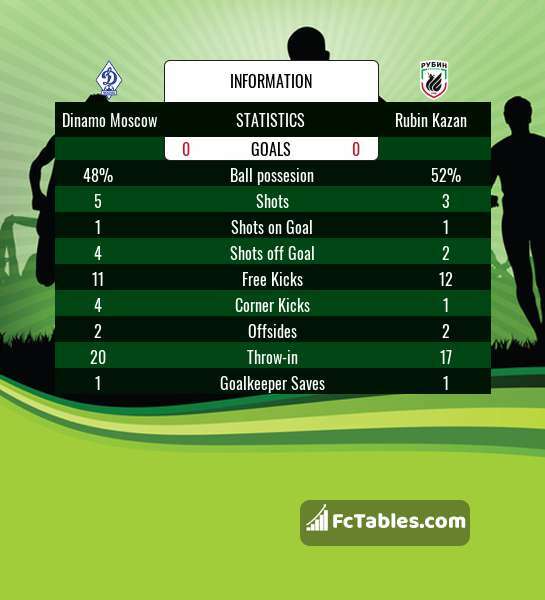 Balace of both teams games are: 3 won Dinamo Moscow, 16 wins Rubin Kazan, 11 draws. In 13 matches the sum of the goals both teams was greater than 2.5 (Over 2.5). On the other hand, 21 matches teams scored more than 1.5 goals (Over 1.5). In 11 matches the both teams have shot at least one goal.